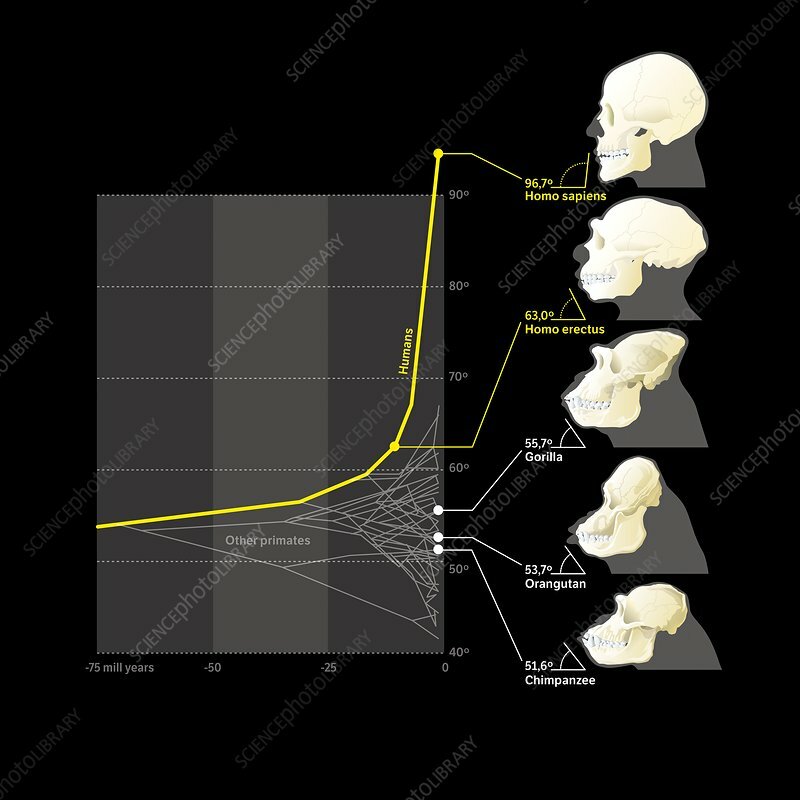 Comparison of hominid skull-jaw angles, illustration. Over millions of years, the fossil record shows changes in the angles of the skull in hominids, particularly those of the jaw and face. These changes are shown in this graph, with three modern ape species at right: chimpanzee, orangutan, and gorilla. Above these is the extinct hominid Homo erectus, part of the human evolutionary tree. At top right is a modern human (Homo sapiens). The face becomes progressively flatter as modern humans evolved. Modern humans uniquely have a flat face, high forehead, small jaw and jutting chin. Various theories have been suggested for the evolution of these traits, including the development of cooking and the social nature of humans.